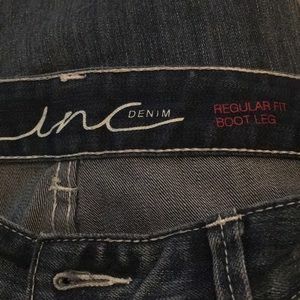 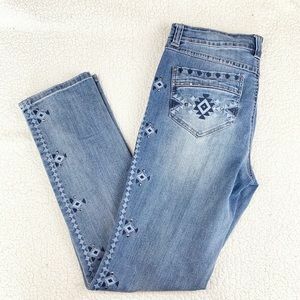 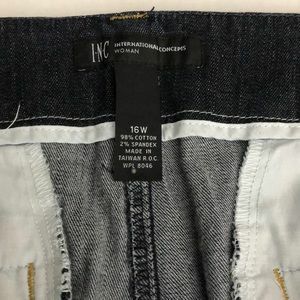 Inc. Denim Jeans. 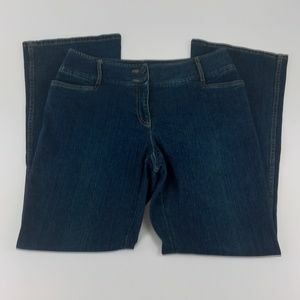 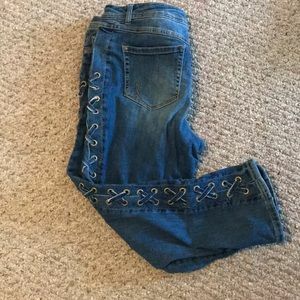 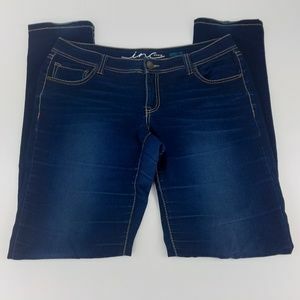 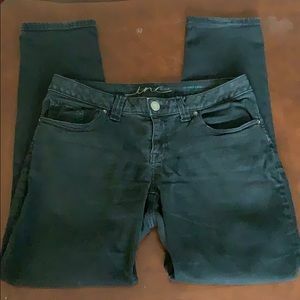 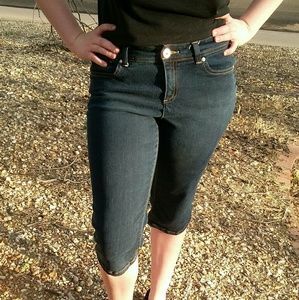 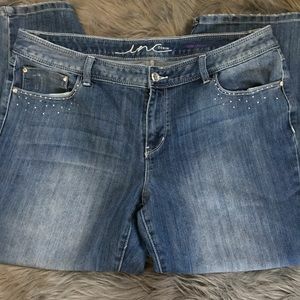 Size 2 short. 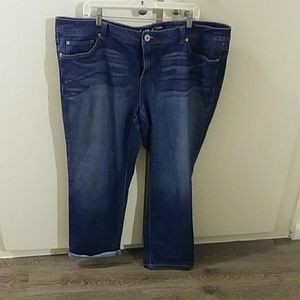 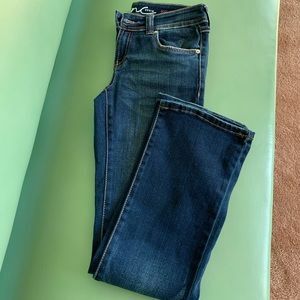 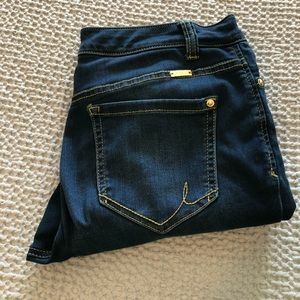 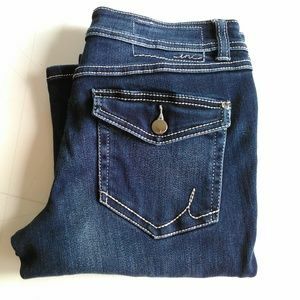 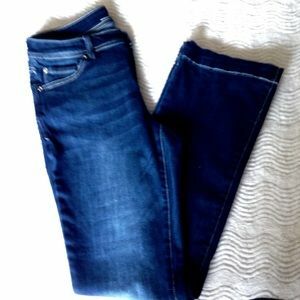 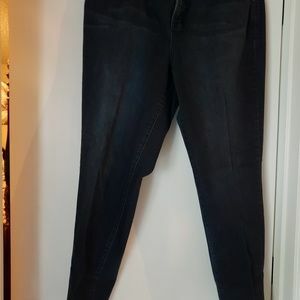 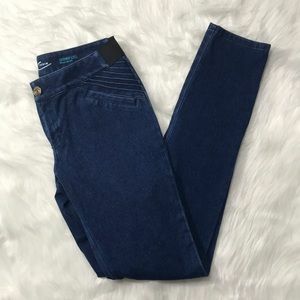 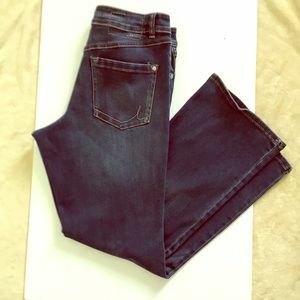 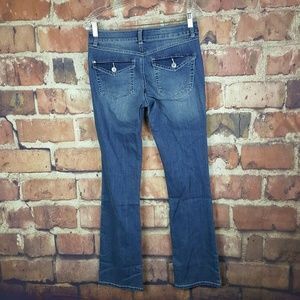 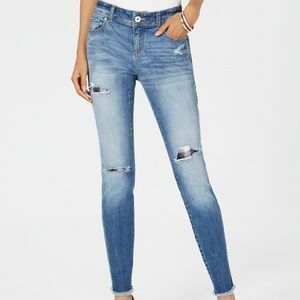 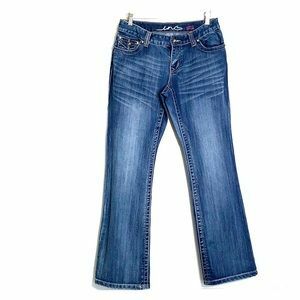 INC PULL ON FLAP POCKET SKINNY LEG JEANS MED. 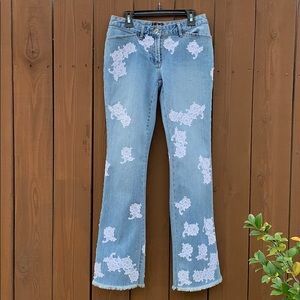 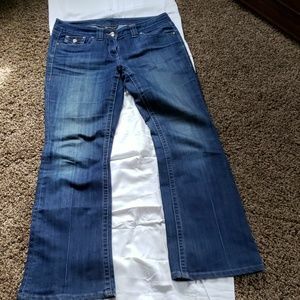 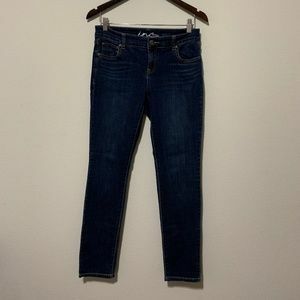 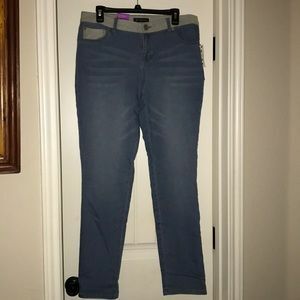 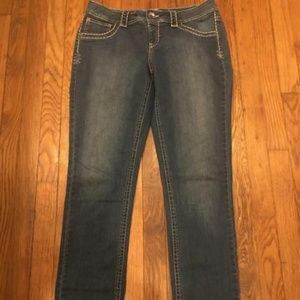 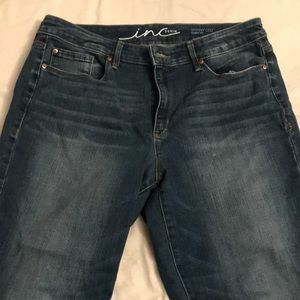 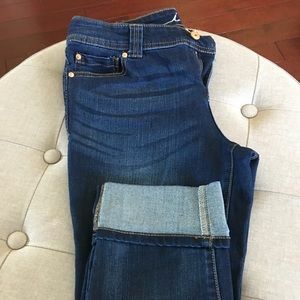 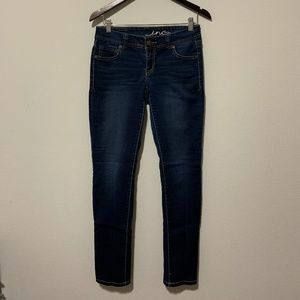 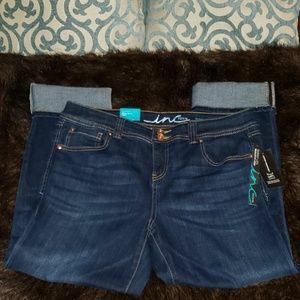 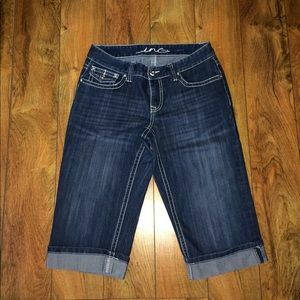 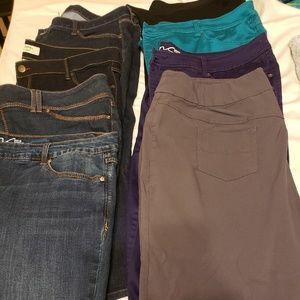 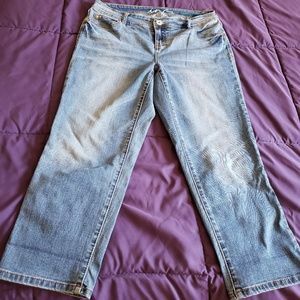 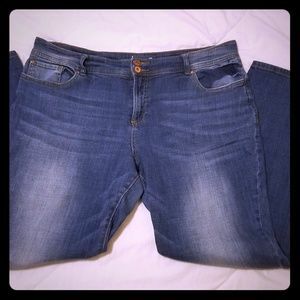 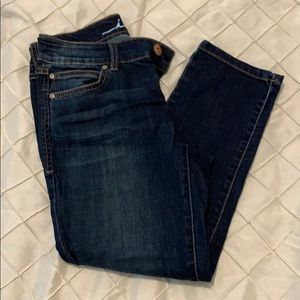 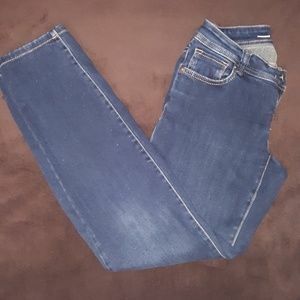 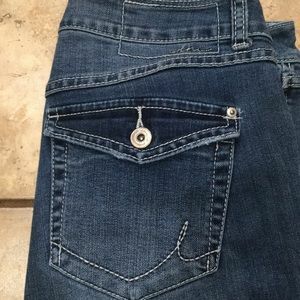 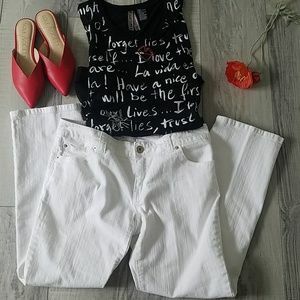 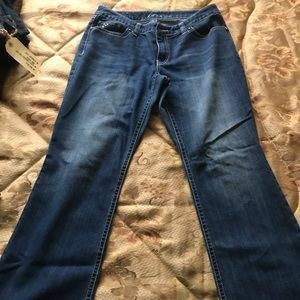 I*N*C, 10P, light wash, straight leg jeans.